We have reached our mid-term long weekend. I thank all the students, parents, staff and community members that have worked so hard this past 6 weeks. For the second year Diploma students this is a breath before the last push through March. By that point all of their internal assignments will be done. This is much the same situation for the M5 students who are starting to have their portfolio work come to an end as it will be uploaded during the end of term break. For the P6 however, this is the start as they are in the planning stages of the PYP Exhibition work which will play a major part of their learning through the start of May. Please also note that the P4 to P6 will start the MAP testing on Tuesday. You should have received a letter from Ms Kate regarding this in the last few days. The M1 to M3 will follow suit after the Primary are finished the week of February 26th. I wish everyone a relaxing weekend. 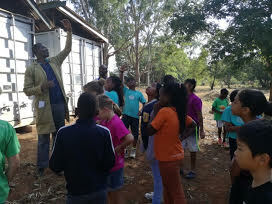 Our DP education aims to change and ‘develop global citizens…” as the ISM mission statement (https://www.ismoshi.org/about-us/guiding-statements/) highlights. This recent NYTimes article entitled ‘Everyone a Changemaker’ (https://nyti.ms/2EumkPz) addresses this challenge. On Thursday March 22, 2018 the ISM Moshi campus will be having a career day. Any parent who would be willing to participate and give a brief presentation of their professional experience and background would be welcome. If interested kindly write rickfitzpatrick@ed.ismohi.com. 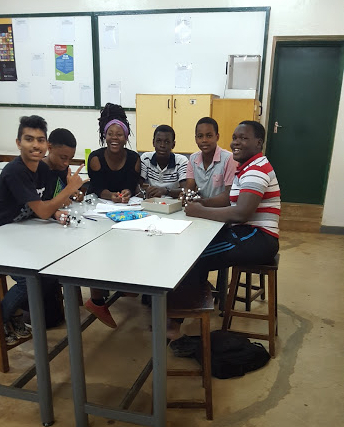 The D2 students submitted their TOK essay this week and the final draft of the Science coursework assignments are due this coming week along with the Economics portfolio. Please find a way to attend the parent-teacher meeting on Friday March 23rd. MYP students in M1-M3 will take MAP® Growth™ tests from NWEA® on computers. These tests replace the annual ISA tests which we have given in the past. We give students MAP Growth tests to determine their instructional level and to measure academic growth throughout the school year (and from year to year) in Reading, English Language and Mathematics. The M3 will also take a Science test. These tests will begin on in the coming weeks. We congratulate all M5 students for completing their Personal Projects within deadline. The results will be released together with the On-Screen Examination results on August 1, 2018. The French oral ePortfolio assessments have been on this week. As well, the Design task was completed. The rest like Arts (Drama, Music, Visual Arts), PHE and Design are still on until mid-March. Let’s continue motivating them. We have scheduled for an on-screen mock examination session in English Language Literature, Integrated Humanities, Integrated Science, Mathematics and Interdisciplinary Learning subjects starting March 6. Students will also do paper-based Kiswahili Language and Literature. As per our promise, all students who have furnished us with Work Experience locations have received the letters of introduction to their chosen institutions/organisations. They were all released on Tuesday February 14. Under the guidance of the language teachers, M3 students have begun making choices of what languages they plan to study in M4. They will also choose 2 of the current subjects of Visual Arts, Drama and Music. In Mathematics, they will be given guidance on moving into Standard or Extended Mathematics. 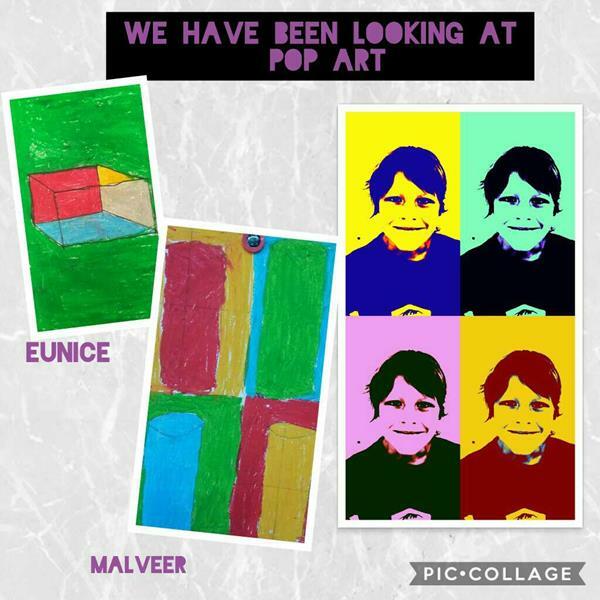 As the M4 students move to M5, they will choose one Art. In addition, they must also have a Language and Literature (English/Kiswahili) course and a Language Acquisition (French/English) course. This is a long weekend, and classes ended on Thursday afternoon. A number of boarders are signing out to spend time with their families. Please remember that you need to return on Monday the 19th by 6pm to resume classes on Tuesday 20th February. Primary to M3 boarders are off for a trip to Pangani for the weekend leaving on Friday 16th, and returning on Sunday 18th. We expect them to have a lot of fun down on the coast. 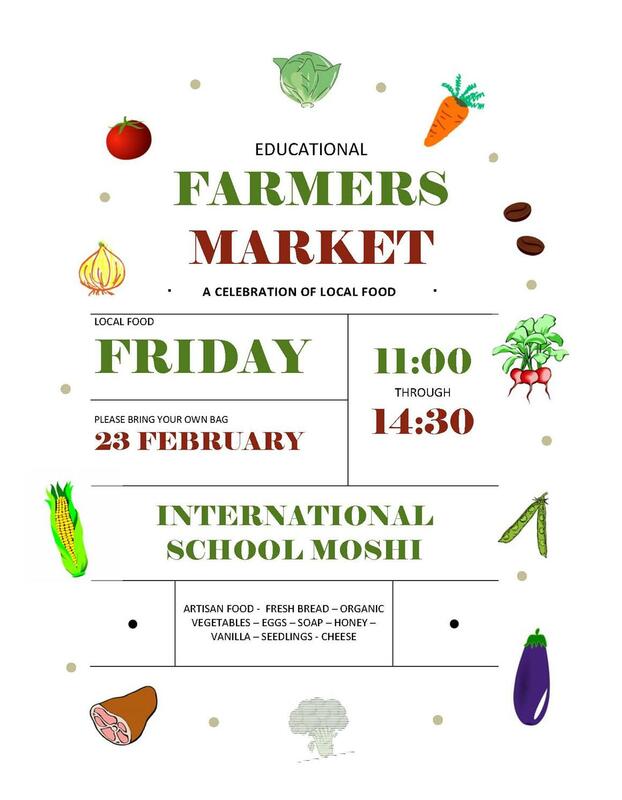 Some older boarders chose to stay on campus or signed out to host families in Moshi or Arusha for the weekend. Boarders are from time to time invited to spend weekends with host families in and out of Moshi town. We remind you that both the host family and the boarders’ parents need to inform the boarding team of such arrangements by Thursday preceding the weekend. This past Saturday February 10th, our U15 Football and U19 Basketball teams were in action at SCIS for the 2nd round of the NTAA. All 4 teams came away with victories as the U19 Boys Basketball team finished the day undefeated. The next NTAA games will be on Saturday February 24th at ISMAC. Meru House was announced the winner at the Monday assembly for the 2nd Inter-house Sports Day. The next Inter-house event will be Academic Games on Monday April 16th. PRE-ENTRIES (done via the website and paid for): Race numbers may be collected from the collection points in Arusha and Moshi (as per above times) from a separate desk. Bring your proof of payment, or email / reference number when collecting. ALL PERSONS ENTERING: You must bring their passports or proof of identity to register. If you are a resident, or citizen of Tanzania, please bring proof to the registration (work permit, residency, ID etc). There are limited numbers for all events, so registration is based on a first come, first served basis. So don’t leave till the last minute please as registration will be closed once they reach their limit. Today students from WATU Secondary School joined ISM D1 ToK students to engage in a Peace Symposium. Through student facilitated dialogue and discussion, students from both schools explored diverse ideas on culture, conflict, and peace using the Theory of Knowledge lens. Students collaboratively generated Knowledge Questions that touched on issues like FGM, bride price, early marriage, tribalism, local and international conflicts amongst other issues. The session concluded with the students reflecting on and declaring how they, as students, can build peace. Surely this symposium, that brought students from diverse backgrounds together in dialogue and friendship, is a fine step towards building peace. Congratulations to Aiden Mtuy (P5) and his brother Khari Mtuy (P3) who both competed in the Mt Kenya Mini 10to4 Mountain Bike Challenge last weekend. Aiden came twelfth in the 13km children’s race and Khari came third in the 9km children’s race. Their parents also competed in the adult Ultimate Mountain Bike races. They all helped to raise money for the worthwhile Mount Kenya Trust. There are no scheduled lessons on Friday or Monday and many families will be making the most of the long weekend to go on breaks to nice parts of Tanzania. Those Primary Boarders who are not returning home for the weekend will instead enjoy a trip to the ISM house on the seafront near Pangani. I am sure they will benefit from this short beach holiday with their friends. Next week the P4, P5 and P6 children will spend a bit of time each day completing MAP tests on the computer. These will provide us with information about their skills in Reading, English Language and Mathematics. These replace the annual ISA tests which we used to give. The MAP Tests will give us a clear snapshot of how the children are progressing and show us if there are any areas of learning which need extra attention. This is useful data for both teachers and parents to know and use. We’ve continued our exploration of the senses this week. In this picture you can see us having some tactile fun for our Valentines day cards – touch can tickle our nerve receptors and make the brain respond to funny things. The light receptors in our eyes help us to see colour and we’ve been using colour in maths to make and predict some simple patterns. On Tuesday we will be using our sense of smell and taste in particular, with a cooking visit from Mama Eefke which we will also use to look at measurement in maths and following instructions in written and verbal forms. We have just begun to learn about ways to research some animal senses using IT. Ask your child about ‘binocular’ or otherwise positioned eyes and what this tells us about a creatures habits. Did you know that a fly smells with it’s whole body, or that a cricket has ears on its knees? Have a great long weekend, and make sure you get out and about to use those wonderful senses of yours. The children have started each day by singing songs which teach them to count up in 2s, 5s and 10s. In math lessons they have been learning the difference between ones and tens using the Base Ten Dienes Blocks, e.g. understanding that ten ones make ten and ten groups of ten makes one hundred. In English Language lessons, and following on from Book Week, the children have practised their reading and comprehension skills. They were able to answer questions about the setting of the story, the main characters, the story problem and how it was resolved. Also this past week, we have evaluated our classroom essential agreements in depth. We have delved deep into looking at the pros and cons of each one. This coming week, we will venture out from our classroom and visit other classrooms to see what agreements they have made to make their class run smoothly. Are their agreements the same as ours? Can we glean from them and add new ones to our list? This should be an interesting venture. The children will get to see the bigger picture across the school. In writing, the children will be looking at the question; ‘Are schools important’? They will be forming their opinions with concrete reasons. As we look at how collaboration and cooperation is important in a community, we will begin looking at the concept of sharing in maths. How do we share school supplies, resources and other items together? Next will be a short week with Monday being a holiday. 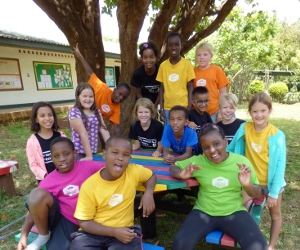 On Thursday the P2/3 children will be going on their overnight camp to Kahawa Shamba. 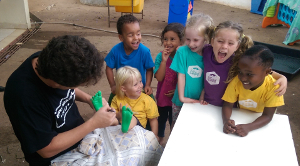 During this experience the children take part in many team building activities. They will be working together as a whole class and in small groups. They will take part in a nature walk, a history tour, and visit a local market. The children will learn to support and encourage each other during this time. The two days prior to our camp will give the children an opportunity to talk about their feelings, thoughts and experiences of camping. They will also visit our school buses and look at how they run. They will be conducting an interview with our school drivers. They will be building different mini versions of transport. Have an enjoyable long weekend. Our students have been busily preparing in UoI work, to take action in our classroom and create our own working model of the world’s economy. This activity will start on Monday and continue until the unit ends. The students have designed their own currency and are presently deciding on which paid positions/jobs they would like to hold in the class. As employees of the ZithaBo Corp. they will have to master their own finances, keep a ledger recording debits and credits. They will also need to identify and prioritize their ‘needs’ and ‘wants’. Shares of the classroom business will be available for purchase and at the end when the business is sold we will assess its value and they will calculate the percentage that is owed to them. In English we have looked at poetry this week (figurative language) and the students will look at idioms next week as they have been intrigued by riddles and how language is used. In math we are working on word problems with decimals and making sure we can explain our thinking. This week the children have worked on some very informative posters about renewable sources of energy. We will finish these next week and will then start working on individual projects using solar power, wind power and water power. Our focus in maths will continue to be fractions. Next week some of the children will be identifying fractions of shapes and numbers and others will be adding and subtracting fractions and reducing their answers to the simplest form. The MAP tests start next week. We hope to keep these as low stress as possible – the purpose of the tests is to identify the level your child is performing at and to use that information to inform future teaching and learning. The only preparation your child needs is a good night’s sleep and a healthy breakfast and snack. Please send a named water bottle to school – a hydrated brain is a healthy brain! We will be presenting our research on energy in Primary Gathering on Friday 2nd March – please note the date change. The students focused on Science experiments that showed how different forms of energy worked and how they get transformed. We also learned a great deal from Mr Ulimwengu and Mzee Kiwelu both working at the school workshop, about our school generator and how it worked. In the coming week, the P6 will start off with MAP tests which will run through the week at specified times. The students are well aware that these are evaluation tests to see where we need to strengthen and not assessments to pass a certain level in class. Students will look at data on renewable and non renewable energy and how it is consumed around the world as well as different ways countries around the world are producing energy with sustainability in mind. Some of the vocabulary within the unit is difficult for the students so we will focus on word study and jotting down key points from videos we watch.